Do you ever find yourself flipping though fashion magazines and marvelling at the beautifully put-together looks, showing strong contrasting colours and prints and then you try to recreate the look yourself and find it completely impossible? This happens to us all the time! Colour Blocking is not a revolutionary concept anymore. Fashion houses, bloggers and celebrities have all embraced this colourful trend and mastered the art of colour blocking . Yet, so many girls, us included, find it so difficult to play with colours. The problem is that most of us are used to playing safe when it comes to fashion – sticking with neutrals and adding only splashes of colours to the look. Its hard for us to step into the current colour revolution and throw the rules out the door! But ladies, its time to start playing by a new set of rules. Understanding a few simple colour principles actually results in some really amazing styling! We’ve put together a little 101 guide to colour blocking to help you recreate your own looks. Make sure that you combine colours from the same family for a harmonious look – For example you can create some amazing combinations by pairing bright pinks with vivid fuchsias, or turquoise with royal blue! With all these colours in your outfit, its totally fine to throw in a splash of neutral. Whether you are wearing coloured denim or a complete colour-blocked outfit, the best way to balance it all out is with a pair of neutral shoes – we’re thinking nudes and blacks. Once you’ve mastered the art of colour blocking, you can start exploring different shoe/bag options, but as a beginner, we believe that neutrals are the way to go! Hopefully, that will help you out! We will definitely use our own advice in colour blocking and come up with some amazing looks to share with you ladies. In the mean time, we would love to hear your thoughts on colour blocking! 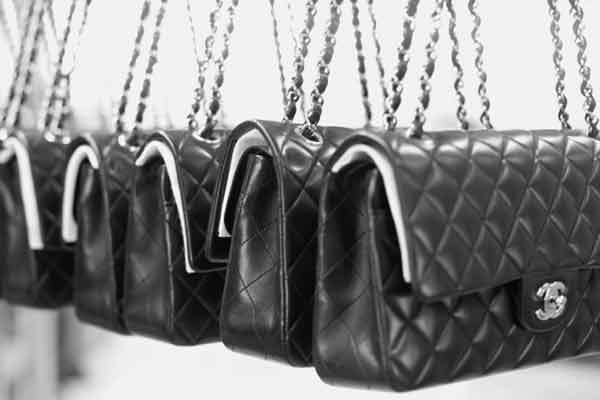 Mesdames et Messieurs…We have a situation on our hands…we are hopelessly and utterly in love with Chanel. 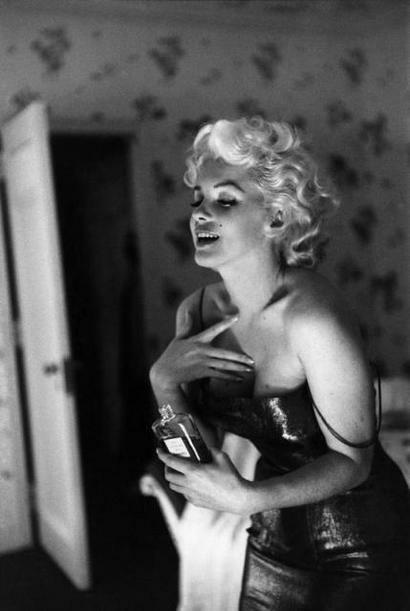 We adore the clothes, the bags, the shoes, and the accessories…the home decor pieces and the eau de parfums…we love anything and everything that has those two holy C’s on it, just because they are there! It could be a pillow or a stocking for all we know, and we will love it and want it. And that, by definition, makes us brand whores! The strange thing about this is that, although we don’t particularly like to wear things with flashy logos on them, we seem to really love the Chanel brand. So, if this means that we’re brand whores, then, so be it! We will wear this title loud and proud, because we love the story, the idea and the look of Chanel. 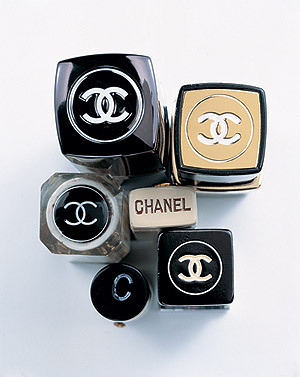 Chanel is one of the oldest fashion houses in the world, started by a regular French girl like me and you. Well no…actually we are not French and she wasn’t just any regular girl. She came from a very humble background but grew to be a pioneer in the fashion world who modernized clothing design and empowered women with her ideas for generations to come. So, we don’t only love Chanel for its look, we truly believe in what this brand stands for. Then there is the incredible craftsmanship with which each and every item is made, which is what makes this brand so classy and beautiful! The tweed with the white and black detailing is just so chic that we can never get enough of it. Pearls, black leather squares on the purses, little black and white C’s on the necklaces – Everything is made with incredible thought and love for elegant simplicity. Take a look at this video for an inside view of how the classic Chanel blazer from the 2012 collection is made….its ASTONISHING! 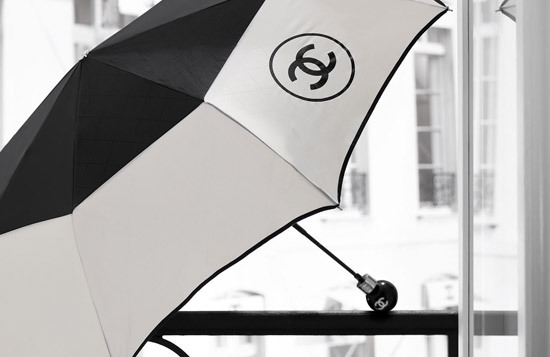 We can’t help but fall into Chanel’s love trap and we are definitely not alone. 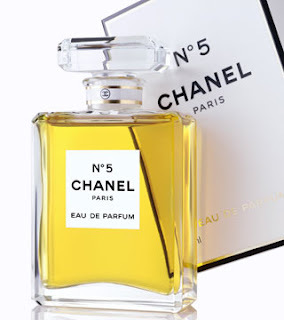 Celebs love Chanel and some of the most legendary figures of all time have been identified as the spokespersons for the brand: Marilyn Monroe, Kiera Knightley, Audrey Tautou, Nicole Kidman, Venessa Paradis… just to name a few! Some of our current Chanel faves are Alexa Chung and Blake Lively. The worst part of this obsession is that there is no remedy for it…. 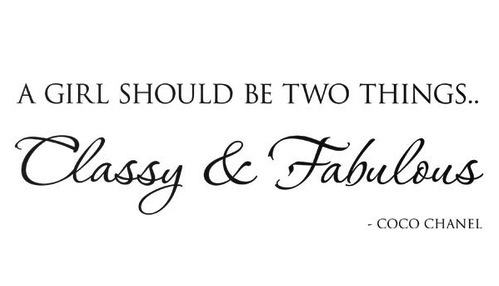 except to get out there and get some Chanel merch…which is exactly what we’re planning on doing! In fact, we wish we could carry Chanel at PAVLYN, but its a little completely out of question for so many reasons, main one being that we would probably just keep everything for ourselves. If you ‘re looking to invest in key pieces this spring, I would definitely put my money down on the white boyfriend blazer. Why? Because it’s chic, timeless and ultra versatile! Just think about how much you wore your black boyfriend blazer in the fall and winter months. If you’re anything like me, you must have spent the entire season in them! So, using the same logic – a white blazer would be so perfect for Spring/Summer 2012! It goes with everything and pulls the look together no matter which spring trend you wish to pair it up with- be it coloured denim, pastel shorts or boho chic rompers. Personally, when I think of a white blazer, I immediately imagine it paired up with black leather skinny jeans and a loose grey tee (kind of like the way Heidi is wearing it)…but really we’ve been seeing it styled in so many different ways by the celebs (or their stylist for that matter). This makes me want a white blazer so much more! Heidi, Kim, Kourtney, Gwyneth, SJP – they all look stunning wearing crisp white blazers, whether it be for a night on the red carpet or a stroll on the town! Check out how cute Kourtney Kardashian looks running some errands in a red romper with a white boyfriend blazer! I hate to admit it but- I don’t have one yet! Ladies it’s SO hard to find a good blazer. The cut is really important as it impacts how the blazer sits on your body and I have not been very impressed with what I’ve been seeing in the stores in Toronto. We’ll be getting some amazing white blazers at Pavlyn and I honestly can’t wait to be able to get one for myself! If you’re looking for the perfect white blazer, like me, you ladies should definitely stay tuned. 1. For Pleats Sake: Pleats are having a major moment this summer, so naturally, they make the maxi skirt so much more amazing. We love seeing pleats on maxi skirts in solid colours, paired with a simple tank like Lauren Conrad. If its your first maxi skirt, go for a solid colour with feminine pleats, and dress it with a simple white tank. Remember, since you’re modest at the bottom, its ok to show some skin on top and even go for a tighter fit. For an added boho-chic look, add a long necklace or a head band. 2. Short and Sweet: A lot of shorter girls are intimidated by the super length of maxi skirts. But, its actually amazing how beautiful these skirts look when paired with heels. Check out how tall Kim Kardashian looks in her maxi skirt, despite being only 5’2. Another lesson from Kim – if you’re on the curvy side, or have very broad shoulders, wearing a maxi skirt with some slits balances your figure. 3. Ready for Romance: Kate Bosworth’s outfit is perfect for falling in love! The combination of pastels with a touch of sparkle is ultra romantic! We really like Kate’s high-wasted skirt, which emphasizes her midriff and breaks up her top and bottom. This outfit is perfect fr those warm summer nights we’re all waiting for! 4. The Weekender: When we spotted Olivia Palermo’s sheer maxi look, we instantly thought of a lazy Sunday afternoon. Olivia’s look is perfect for a weekend trip to the market, an afternoon stroll in the park, or a brunch get-together. Adding shape to this flowy fabric is key, especially when combining a loosely fitted top and bottom. Olivia achieves this look by not only tucking in her blouse, but also adding a thing belt to the skirt. Your waist line is the slimmest part of your body, so you always want to draw attention to it! Even a petite girl like Olivia can wear this look without drowning in the fabric, by keeping it sheer, light and belted! 5. Fashion Forward: Once you get a little more comfortable with wearing a maxi skit, you can start playing around with different combinations.We really love the way Olivia put this country-chic look together. Of course, the basics are still there – show a little skin, belt your look, and use sheer fabric – but its totally different way of wearing the maxi skirt! Ladies, get out there and get your first, third or 10th maxi skirt. This trend is here and its here to stay! Its true, we’re a little coloured-denim crazed these days…and its not just us! The celebs seem to be just as obsessed as we are, rocking skinny jeans in all colours of the rainbow pops. Today’s favourite is Kim Kardashian, spotted at the Fort Lauderdale Airport in Miami, in this stunning pair of Aqua coloured skinny jeans. Paired with a white top and a neutral coloured bag and flats, she looks like a breath of fresh air, breezing through the airport. Trying to resist these fabulous Aqua jeans, is like trying to resist Miami’s ocean front itself – IMPOSSIBLE! Kim fabulously dove into the coloured denim trend and so should you! Ladies and Gentlemen I bring you (drum roll please) … Red Skinny Jeans! Coloured denim is definitely a hot trend, but not just this season, its actually one of the hottest trends of the year. I’ve been seeing them around on the runways, on TV and in hundreds of street style blogs. Unlike the pastels that are so “IN” this spring, red jeans are one of those pieces that can be worn any time of the year. Winter to Summer, Autumn to Spring, you don’t have to worry about whether or not its ‘the right time” to wear them! If you follow us on Twitter (@pavlynboutique) you know that we are truly in love with J Brand and can’t wait to get some coloured denim for our boutique. If you want to invest in a good pair of jeans, J Brand is definitely the way to go! They simply make the best quality, most incredibly fitting jeans. We are soon getting the Zoey Skinny Jeans in Lipstick red, which we couldn’t be more excited about. However, my pair actually happens to be from Joe Fresh, which is a great alternative if you’re looking for a bargain! I actually really like my Joe Fresh pair of jeans. Every time I wear them, I get asked about where I got them. If you haven’t checked out this brand, you should definitely do so, because Joe Fresh makes really great clothes! Maybe its that my first ever fashion show was -Joe Fresh, Spring 2010 (I got in with my friends’ Press Pass) that I’ve developed such a deep appreciation for Joe Mimran’s brand. He has created an awesome casual wear line and I honestly have to thank him for making my grocery trips to Loblaw’s so much more fun and enjoyable. The light blue blouse is also from Joe Fresh. Together, the bright red and the pale blue make an amazing combination for this Spring. I also love wearing my red jeans with black tees and leopard shoes, or a simple white boyfriend blouse. Turquoise, hot pink and purple also look amazing with red. The possibilities are endless! Neon fluro pop up bags are a hot trend this spring! Although they may seem a little bit obnoxious with all that bright colour, these bags make a great statement piece for any outfit – Day to Night! We just can’t wait to get our hands on one (or two) of them! Some of the hot colours on our wish list are neon yellow, hot pink and neon orange (circa your favourite highlighters in grade school! how fun is that?!). We’re actually tempted to get one in every colour…because its so hard to pick just one! ….And here is how we’d wear this spring trend!